Many students, especially students with special needs or autism, benefit from direct instruction of social skills beginning with emotions. This is a very large bundle focused on teaching children to look at different facial expressions and identify the emotion. Teach children to look at a person’s face and teach children that different facial expressions mean different things. 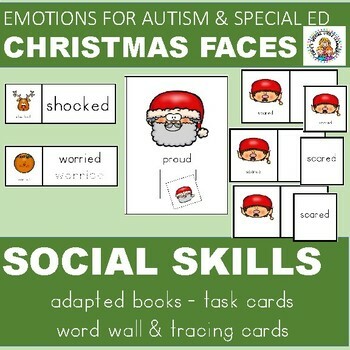 The clip art in this bundle is very expressive and provides fun and engaging practice looking at faces. 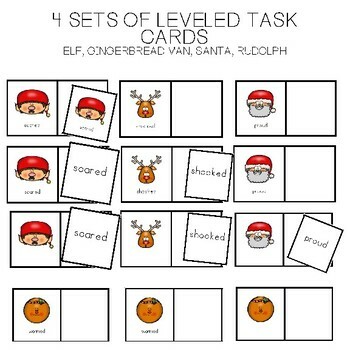 Task cards are a great center or independent work task. Interactive books can be used during circle time or left in your reading center for independent work. 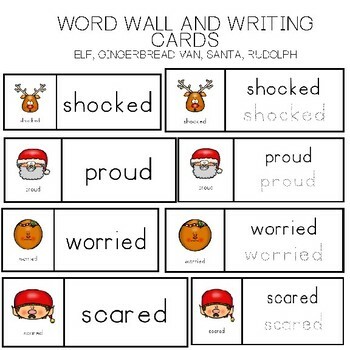 I like to send matching boards home with families so kids can work on emotions at home with families as well. Please share your feedback. I am interested in what you have to say so I can create even better learning materials for you to use in your classroom. Thank you again! Returns are not available on digital down loads so please be sure this is what you want and you can open it on your computer.